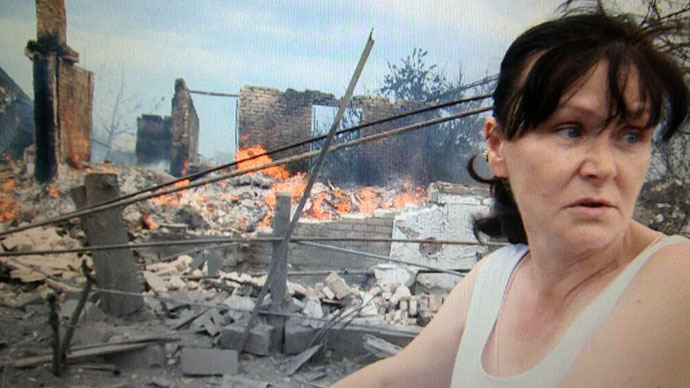 Tens of thousands of Ukrainians forced from their homes by the internal armed conflict are receiving little protection and assistance from Ukrainian authorities, claims Human Rights Watch in a letter sent to President Petro Poroshenko. 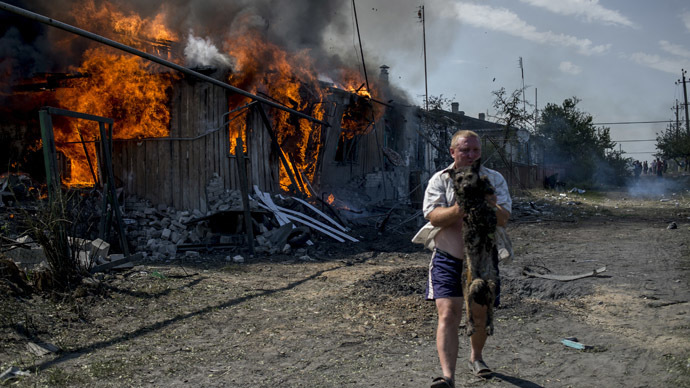 Human Rights Watch (HRW) has conducted research of its own, speaking to displaced citizens in major central and western Ukrainian cities, such as the capital Kiev, Kharkov, Lvov and Vinnitsa. HRW’s nine-day probe also addressed local authorities, international organizations and volunteers dealing with refugees. The general picture is disappointing: most of the displaced people interviewed had not heard of any government assistance programs, and had received no assistance with accommodation, food, clothing or access to social services from government bodies or agencies. Despite declared intentions, the Ukrainian government has failed to help displaced people find sustainable housing and get access to social services. 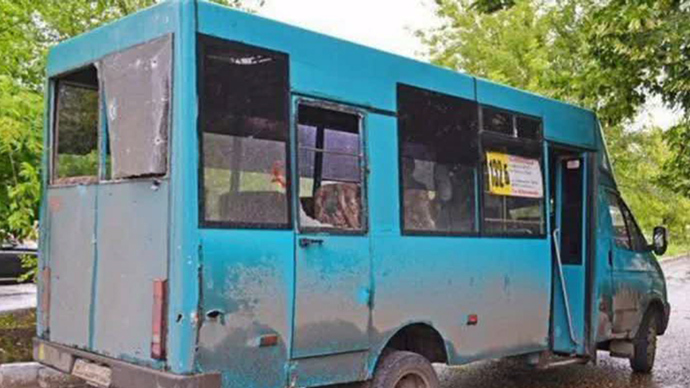 Human Rights Watch insists that Kiev should intensify its assistance to civilians evacuating from the conflict areas in the east of the country. The latest data provided by the UN High Commissioner for Refugees (UNHCR) office suggests that more than 87,500 people have been internally displaced in Ukraine since March. 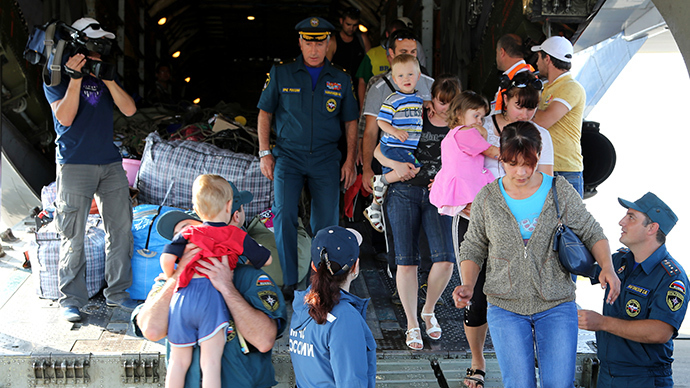 These statistics include 13,000 people, mostly Ukrainian servicemen and members of their families, who chose to move to Ukraine from the Crimean peninsula after Crimea voted in favor of reunification with Russia. 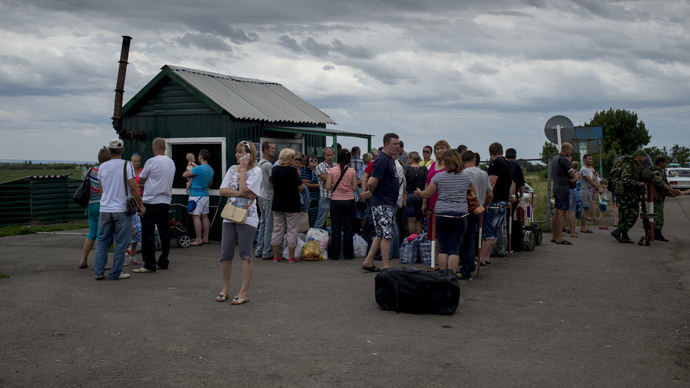 Yet volunteer groups told HRW that many displaced people do not officially register as such, so the final stats could be significantly higher: trains going from cities like Lugansk and Donetsk to the central and western regions of Ukraine are full of people eager to escape the war. According to stats from the UNHCR, the number of Ukrainian refugees which nave fled to Russia has officially reached 110,000 people,while a report by the UN Office for the Coordination of Humanitarian Affairs says over 4.5 million civilians still remain in the war zone. 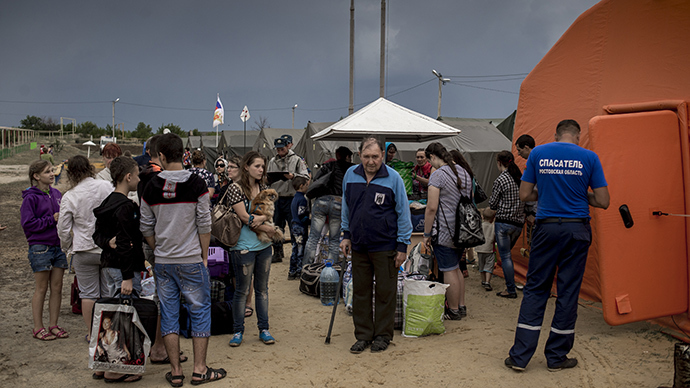 Those who fled the military conflict zone in the east but remained in the same region reported problems with medical care and shortage of medicine. 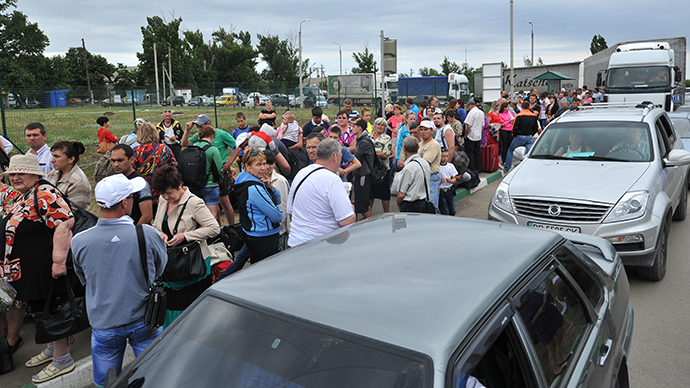 After migration began to grow in the country over Crimea’s succession and developments in eastern regions, the Ukrainian government issued a number of decrees designed to create mechanisms to respond to the needs of displaced citizens. But the laws do not work properly in Ukraine due to the inertia of bureaucracy at the local level, which simply shift the burden of displaced citizens onto non-governmental organizations and volunteer groups. Often civil servants just send needy people to volunteers, blaming scarce funding and lack of detailed instructions from officials at a higher level. “Volunteers are doing the best they can to provide medicine, food, and shelter for the displaced in Ukraine, but their energy and resources won’t last forever,” Gorbunova said. 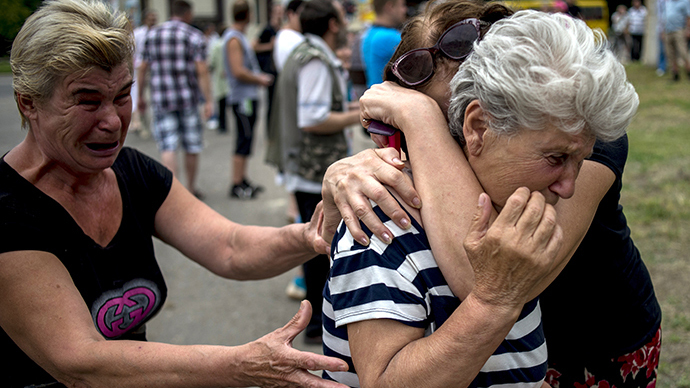 “With displaced people arriving in central and western Ukraine in large numbers, the national government needs to urgently step up efforts to assist them before this crisis worsens,” she said. 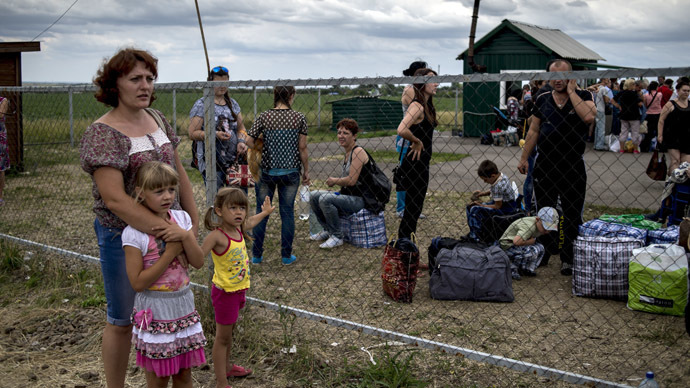 HRW asked President Poroshenko to ensure that registration of displaced citizens is functioning properly on all levels, and provide essential financial and physical resources to provide coordinated assistance to those uprooted from their homes. 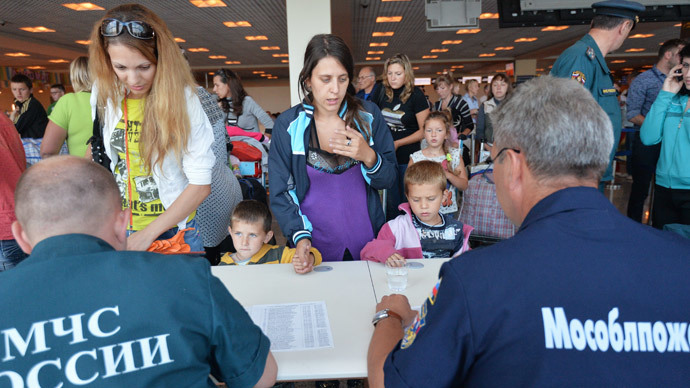 Ukraine’s parliament has so far not adopted legislation preventing discrimination against displaced citizens, such as the introduction of a simplified residency registration procedure that would enable people to receive pension, social and disability payments in a new place of residence.